Revival Towel Warmer with touch screen thermostat, bronze finish. 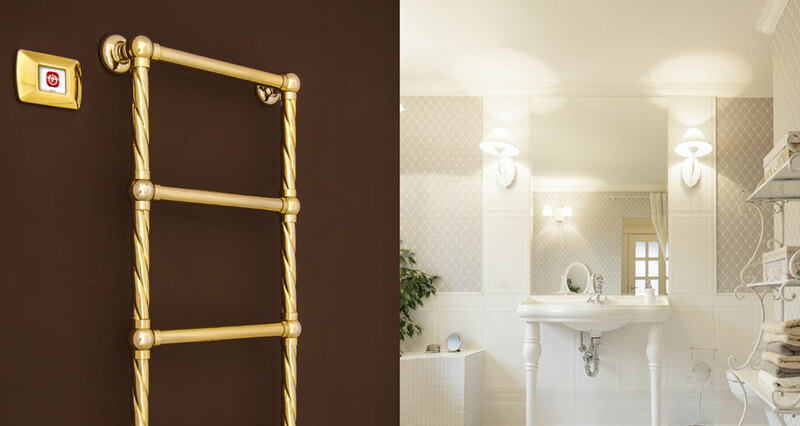 Glamour Towel Warmer with touch screen thermostat, gold finish. Scaletta Piccola Towel Warmer with touch screen thermostat, chrome finish. Glamour Swarovski Towel Warmer with touch screen thermostat, gold finish. 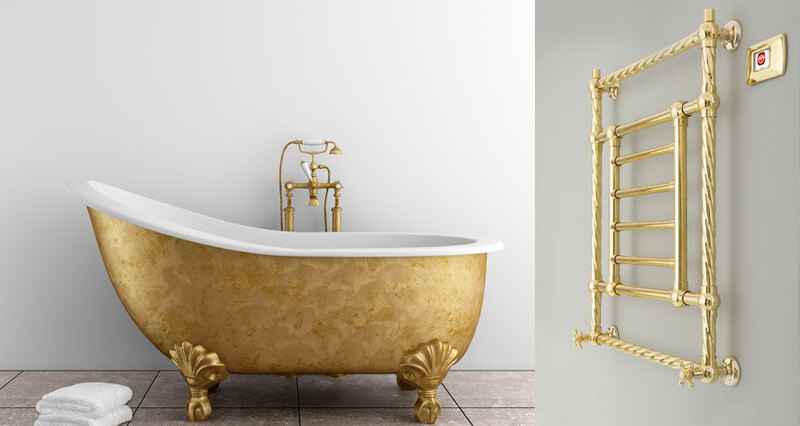 Princess Torchon Towel Warmer with touch screen thermostat, gold finish. 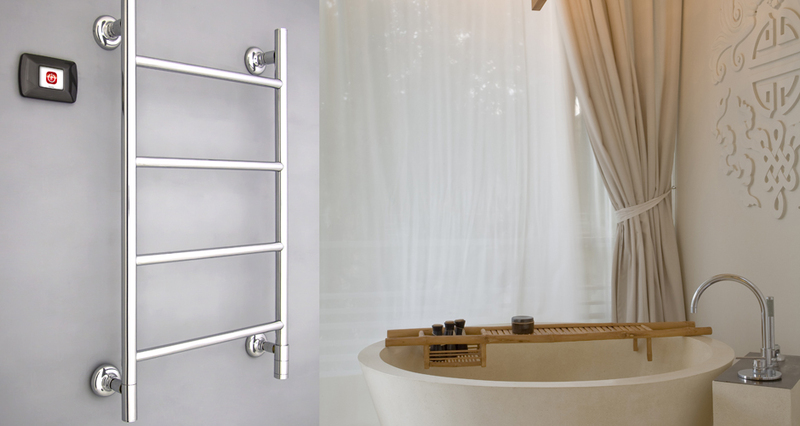 Electric and Hydronic Towel Warmers, only Made in Italy. 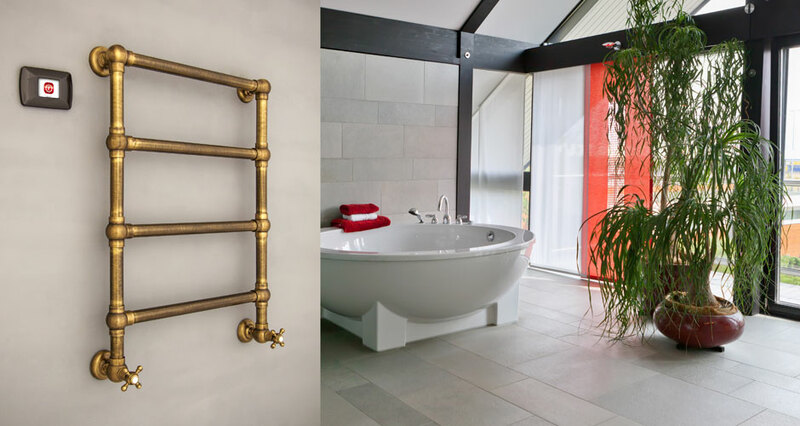 Accessories for Electric and Hydronics Towel Warmers. Switches and Touch Screen Thermostats for Towel Warmers. Innovative touch screen patented controller and programmer. 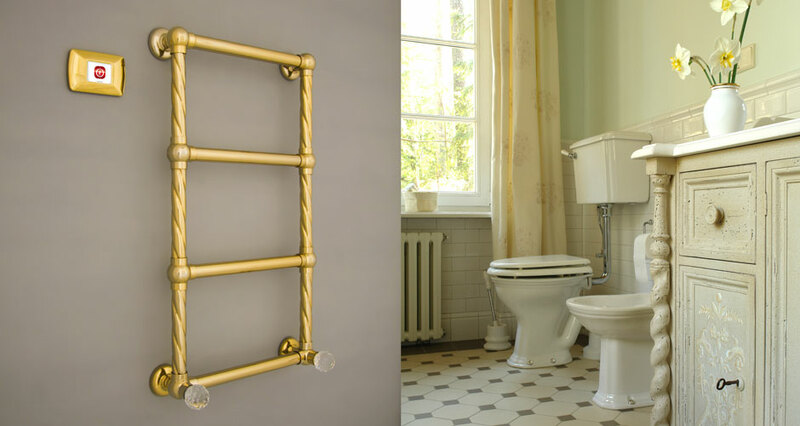 Rinaldi Rubinetteria is an Italian company which produces electric and hydronic brass towel warmers. We export the most of our production, which is very appreciated from home designers, architects, and yacht designers. In 2001 Rubinetteria Rinaldi obtained the PCT for energy efficiency and temperature control. As evolution of this important achievement we can now present our products enriched with an innovative "touch screen" thermostatic controller and programmer. Besides the innovative technical characteristics, our production is characterized by a refined design and a special attention to details, in particular we use Swarovski Crystals to give a luxury touch to our products.